Here are some of my favourite items for the most comfortable of trips. I would love to hear about any items I might have missed! Suitcase: After 10 years of travelling with a backpack, I have finally converted to a suitcase. And do you know what? I find it so much easier! 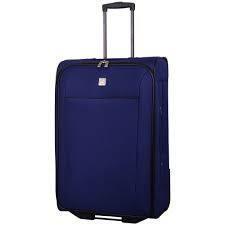 My Tripp suitcase is lightweight and sturdy plenty big enough for all I need to pack, and the wheels go exactly where I want them to go. Even better, no more back ache. Backpack: If your not convinced by a suitcase, make sure you get a really good quality, well fitting backpack. It’s one thing I wouldn’t specifically recommend for all as one size or brand just doesn’t fit everyone. We brought our backpack from STA travel in Southampton, who had a travel wear shop attached. They fitted us up good and proper with comfortable backpacks, which despite accompanying us for a trip around the world, numerous muddy festivals and a lots of long holidays, are still going strong. Would I get rid of it? No way. Especially because its covered in iron on world flags of all the countries we have visited, showcasing if nothing else, my poor sewing skills! 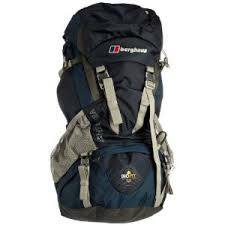 We both opted for burghaus backpacks if it helps you narrow down your options – Darren bought the bag pictured below. 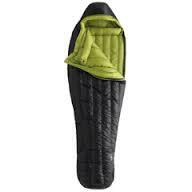 Sleeping Bag: Depending on when and where you are heading, will determine which season of sleeping bag you will need. We once got hit with very unexpected temperatures of -17 degrees in New Zealand, which coupled with power failure and accommodation in a rickety old caravan led to some very chilly nights! Fortunately we had a very good sleeping bag each! Make sure you research your sleeping bag well – and remember that paying a few extra pennies for a good quality sleeping bag could make all the difference to your comfort. Mosquito Net: Sure, many places advertise mosquito nets in countries who host these darn pests, but the reality is, most of them are pretty useless with holes large enough for seagulls to fly through! 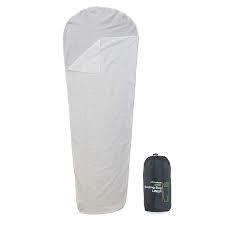 Do yourself a huge favour and pack your own, clean mosquito net! Theres nothing worse than waking up with a million mosquito bites! Sleeping Bag Liner: And talking of bites, a sleeping bag liner is a good idea too, especially in those cheaper hostels and hotels! Bed bug bites are not nice. Not nice at all! And I’m sure women suffer more than men, so ladies, its a must! microfiber Towel: Nothing beats a big, white fluffy towel. Ever. 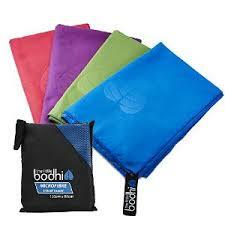 But I do recommend a big microfiber towel for you travels. These towels are lightweight, super absorbent, quick drying, and take up very little room in your suitcase (or backpack). They even have antibacterial properties for odour prevention. First aid kit: Along with basic medications (I would suggest Paracetamol, Ibuprofen, Loperamide (Imodium), Rehydration Salts – or as we packed, a rehydration spoon, Senokot, an antihistamine such as Cetirizine and some itch relief cream, and a packet of Rennies) pack a travel first aid kit with the basics – it’s almost certain you will use something from the pack, and they needn’t cost a lot. Don’t forget your usual prescription medicines. I would suggest taking a letter from your Doctor with you, too, some countries can be pretty strict with the medicines you take in (and out) of a country. Sterile Medical Kit: Hopefully there will never be a need for it, but a sterile medical kit is a must in remote or developing countries where hygiene is not at its best. Sun Tan Cream: We paid nearly £30 for a small bottle of sun tan cream in Egypt. Save yourself the pain from burning both your skin and a hole in your pocket, and make sure you have plenty of high factor sun cream before you leave – I always buy Clinique sun tan lotions because I love their products, but any high factor sun tan cream will do. Just remember to pack bottles over 100ml in you checked luggage. I’ve lost a few bottles of sun tan cream through airport security control! 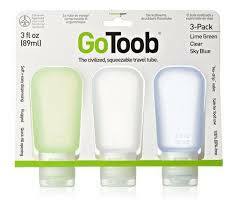 Flight Travel Bottles: Talking of the 100ml liquid restrictions on planes, consider getting some flight travel bottles to make sure that you don’t loose your favourite toiletries through the bottles being too big! 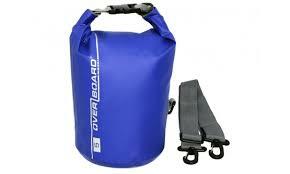 Dry Bags: We love kayaking, and often set off for the day with a few beers to explore. We never used to take a bag of any type, but after dropping our camera in the water, we decided it was time to get a dry bag. 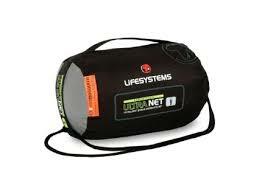 Sadly the camera didn’t survive, but we’re much more prepared now that we have an overboard tube dry bag. It’s flat too, so doesn’t take up too much room in the case. Sink Plug: Yes, you read it right! A sink plug. You might be amazed at how many sinks are missing the all important sink plug abroad. It may seem silly but I absolutely recommend you take one on your travels. 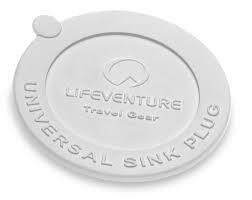 Washing Line: And once your clothes are washed using the universal sink plug which you now appreciate so much? 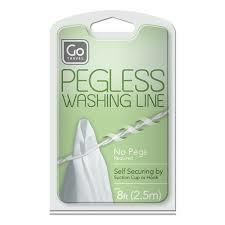 You need to hang your clothes to dry on a pegless washing line. Much easier than trying to retrieve your knickers which have blown from the balcony and are now in full view of everyone in the hotel swimming pool. It happens…. 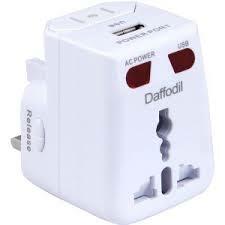 Travel Adaptor: A travel adaptor which works in 175 countries, and has a USB port. Need I say more! Books: There are few things better than escaping onto a good book for a couple of hours – my favourite reads have been Bad Karma, Confessions of a Reckless Traveller in South East Asia, by Tamara Stewart, The Damage Done: 12 years of hell in a Bangkok Prison by Warren Fellows and The Four Hour Work Week by Tim Ferriss. Kindle: Not enough room (or weight left) in your case for books – why not consider a kindle? One day I think I need to take the plunge and move away from the good old-fashioned way of reading, but as yet, I really cannot give in to the technology! 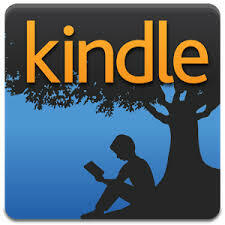 Have you bought a kindle yet – was it a good move? And can you convince me otherwise…. Sunglasses: No doubt some of your travels will be in warmer, sunny climates, and even if you’re not laid on a sun bed looking directly into the sun, your will be needing to shade your eyes! Don’t be stupid and buy a pair of ‘retina burners’ from a cheap and cheerful market; protect your eyes properly with a genuine pair of sunglasses which definitely have UV protection! And, if you usually wear glasses for your everyday vision, have your prescription added to them – it makes the world of difference sight-seeing, let me tell you. If you’re still not convinced you need real sunglasses (and by that I don’t mean just designer ones – though you can definitely tell the difference) – we have known a chap to burn his eyes with a pair of glasses bought from a Thai market. Yes, you can actually burn your eyes. Protect your eyes people! 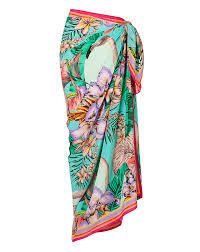 Sarong: A sarong is not only a sarong! Amongst other things it’s a scarf, a long dress, a short dress, a head scarf, a keffiyeh, a towel, a bottom sheet, a blanket and a pillow. It’s the most adaptable item you can possibly pack. I’ve had the same sarong since our RTW trip in 2006, it’s worth every single penny of the one pound it cost from a beach side shack on Koh Tao! Water Bottle: I don’t actually own one yet, but a water bottle which purifies is next on my list of things to buy. 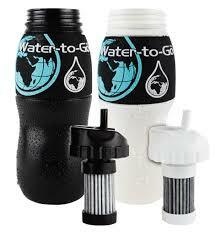 I’m looking at the water-to-go bottles, but am open to suggestions if you’ve tried another brand. Please let me know. 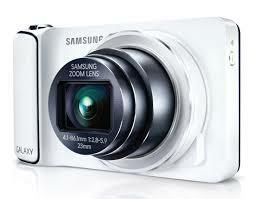 Insurance: Before you pack, make sure you have ADEQUATE insurance which will cover your needs whilst you are away. I cannot stress this enough!! Hopefully you will not need to use it, but, having needed to claim three times over the years (family illness and accidents), I know just how important the best travel insurance can be. One insurance policy we claimed on flew us home twice and refunded our unused flights (which paid for a holiday at a later date). Please, it you take one thing from my entire travel blog, and not just this post, take away the knowledge that you NEED to buy decent travel insurance! Airbnb.co.uk registration: Buying the above for your travels is not cheap by any stretch of the imagination, and the longer you can make your money last, the better. So, consider signing up to airbnb.co.uk to look for accommodation for some of your stay. It’s not only rooms at people’s homes as I had always thought; there is a huge range of accommodation types – hotels like the amazing Pandora Lifestyle Hotel which Darren and I stayed at earlier this year, tree-houses, windmills and even romany gypsy caravans! If you sign up to airbnb through my referral link, you can save £16/$25 off your first night – I will also get £16 credit once you stay. Please note that by purchasing one of the above items I may receive a small commission. I’ll use the commission wisely I promise – I’d like to buy a water-to-go bottle.